Ohio has yet to play a full game of their best basketball, but Tuesday night may have seen the Bobcats’ best half of the season. 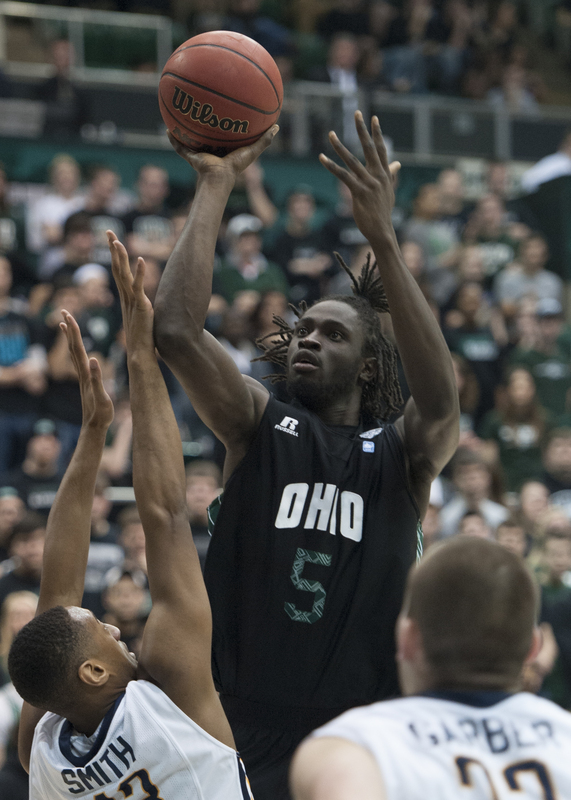 Ohio outscored the UNC-Wilmington 42-19 in the second half to pull away with a 72-53 home victory. After trailing 34-30 at halftime, Ohio (5-6) went on a 16-0 run midway through the second half to coast to the 19-point win. The ‘Cats didn’t lead until 18:24 in the second half, but they never trailed after that point. Maurice N’dour finished with 23 points and 10 rebounds, his fifth double-double of the season. Bean Willis added 12 points, five assists and five boards. Treg Setty made just one of his seven shots, but pulled down 12 rebounds, a career-high. UNC-Wilmington (5-6) was limited to 30 percent shooting from the field and the Seahawks also struggled at the free throw line, making just nine of their 16 attempts. Addison Spruill led the Seahawks with 18 points and Craig Ponder added 13 in the loss. C.J. Gettys, UNCW’s 7-foot center, tallied 13 boards. Tuesday night’s victory concludes Ohio’s non-conference schedule. They’ll begin MAC play on Wednesday, Jan. 7 when they host Northern Illinois.